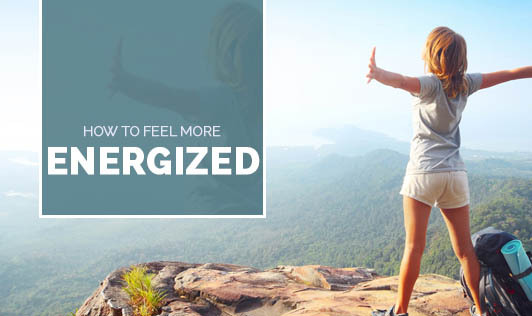 How to feel more energized? We work; we manage our tight work schedules, keep ourselves stimulated with caffeine and pure strength of mind! Many of us struggle with energy issues. "Just like houseplants need water, our energy reserves need regular replenishing," says psychologist Michelle Segar, PhD, associate director of the Sport, Health, and Activity Research and Policy Center for Women and Girls at the University of Michigan. • Artificial or natural light helps optimize the body's wake-up processes. Leave the shades open or flip on a light switch in the morning to imitate the effect of sunlight. • Don't snooze. Those extra minutes of sleep will just leave you feeling bleary later. You will feel much better getting out of bed when you first wake up. • Eat a power breakfast which will fuel your body so you have enough energy to get going. • Don't be glued to your chair. Your body requires occasional movement to change channels and get oxygen flowing so you're alert enough to complete tasks. • Exercise on most days of the week for an energy boost. • Get good sleep every night and wake up at the same time every day.